The scalable Rhode Island map on this page shows the state's major roads and highways as well as its counties and cities, including Providence, the state capital and most populous city. To display the map in full-screen mode, click or touch the full screen button. To zoom in on the Rhode Island state road map, click or touch the plus (+) button; to zoom out, click or touch the minus (-) button. To scroll or pan the zoomed-in map, either (1) use the scroll bars or (2) simply swipe or drag the map in any direction. (The scrolling or panning method you use will depend on your device and browser capabilities.) At any time, you can display the entire Rhode Island road map in a new window or print this page, including the visible portion of the map. Rhode Island's Interstate Highways connect its major cities and facilitate travel between Rhode Island and its neighbors. I-95 traverses the state from the southwest to the northeast, and I-195 connects Providence with southeastern Massachusetts. I-295 enters Rhode Island from Massachusetts, looping around Providence to the north and west and joining I-95 south of the city. 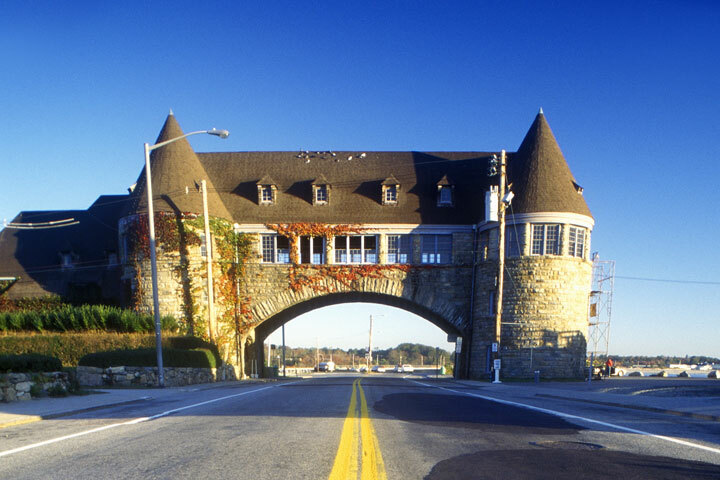 Although there are no officially-designated America's Byways in Rhode Island, the state does feature several scenic routes and an aviation travel itinerary. A 40-mile drive along the state's shoreline from Westerly to Wickford offers beautiful ocean views, beaches, state parks, and more. The seaside resort of Watch Hill is home to Victorian houses nestled on its bluffs and Trustom Pond National Wildlife Refuge is a bird-lover's paradise with over 300 species. The trip also passes through the bustling fishing village of Galilee and the Silas Casey plantation farm in Saunderstown. Rhode Island Route 77 traverses unspoiled shorelines, pastoral scenes, and vineyards between Tiverton and Sakonnet Point. More information about scenic roads in Rhode Island is available on this Rhode Island Scenic Drives page. For more information about Rhode Island's roads and transportation infrastructure, visit the Rhode Island Department of Transportation website. For Rhode Island road traffic conditions, visit the Federal Highway Administration's Rhode Island Traffic Information page.